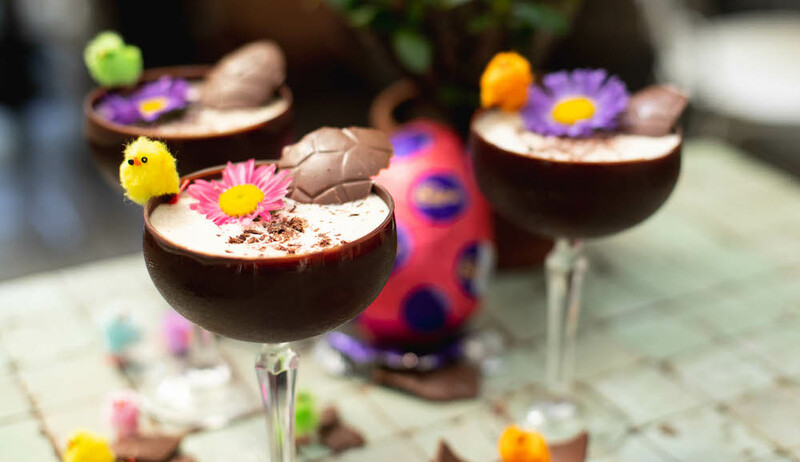 Easter is in full swing at The Grounds, and it’s safe to say we need a drink. So here’s one for the big kids! 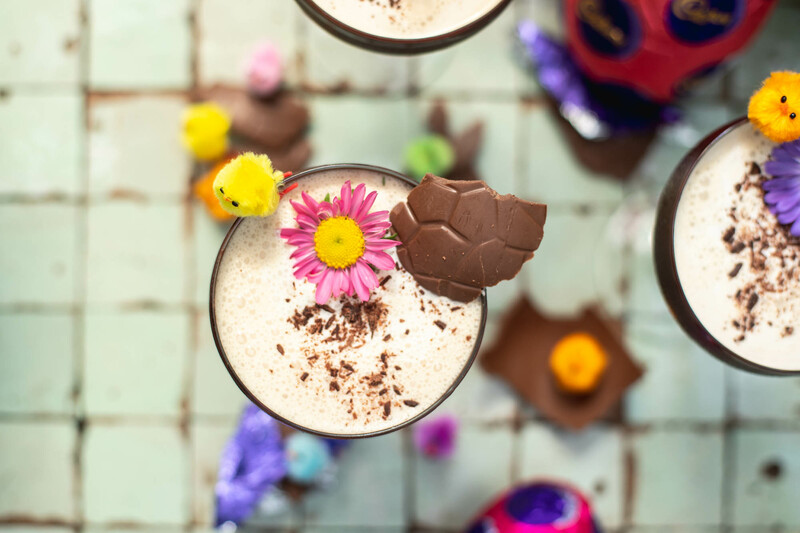 Available in The Potting Shed until Monday 22nd April, our Salted Caramel Eggspresso Martini is the kind of chocolate you wish The Easter Bunny would deliver. 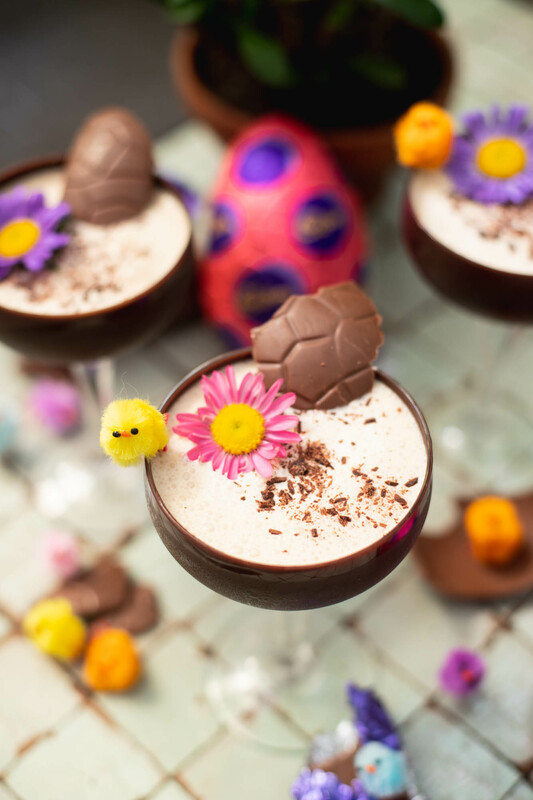 It’s a creamy combination of salted caramel and espresso, set in a chocolate coated glass and garnished with a crumbled easter egg. Sounds delicious, we know. And luckily enough, our Potting Shed Bar Manager was kind enough to share her recipe with us – cheers Lucy! Melt chocolate using the double boiler method, coat the glass and tip it upside down to remove any excess, before placing it in the fridge to set overnight. Patience here is key, and the tip is to use quality cooking chocolate – your regular cadbury block unfortunately won’t cut it here (but it’s handy to snack on while you work). Add all the ingredients in a cocktail shaker and shake with ice. Strain into your pre-set glass. Add a cracked easter egg and place on the side (we dare you to try not to eat the leftover). Top with coloured daisies and serve! Prepare for your eggspectations to be eggceeded!